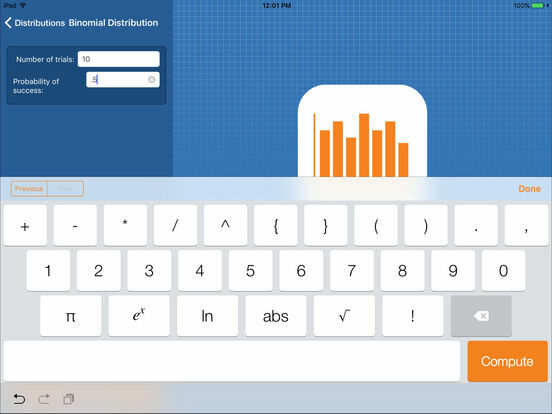 Taking statistics? 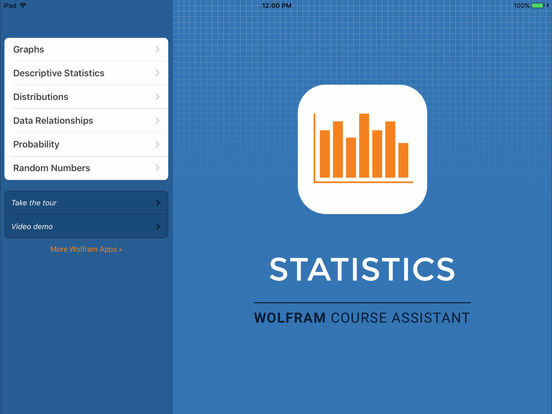 Then you need the Wolfram Statistics Course Assistant. 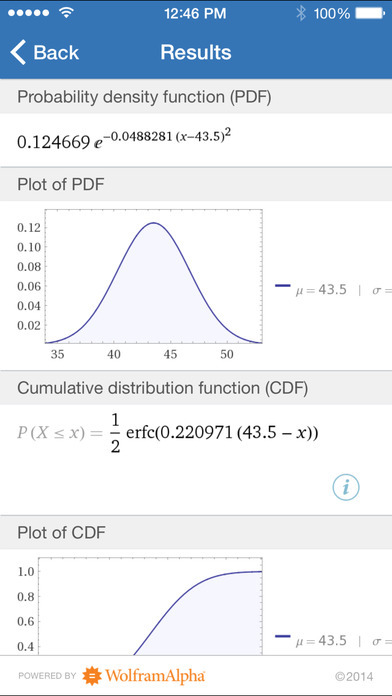 This definitive app for statistics—from the world leader in math software—will help you work through your homework problems, ace your tests, and learn statistics concepts. Forget canned examples! 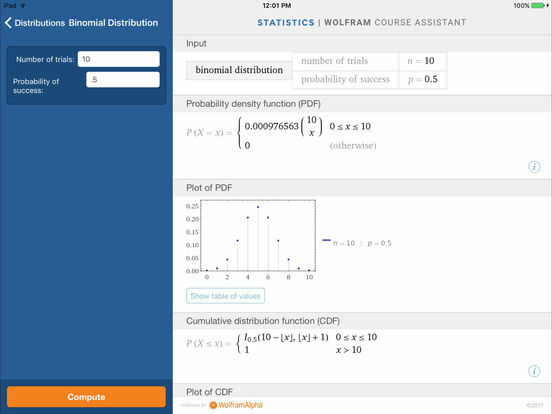 The Wolfram Statistics Course Assistant solves your specific problems on the fly, covering descriptive statistics, distributions, and much more. 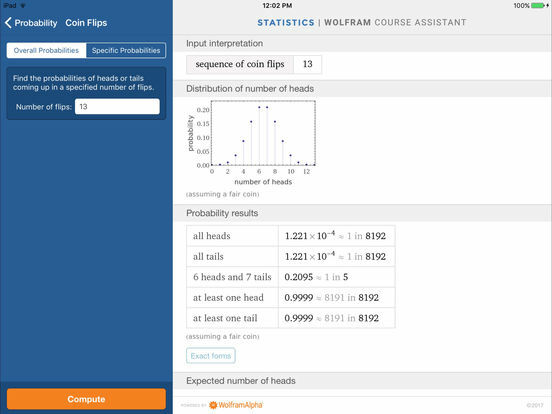 The Wolfram Statistics Course Assistant is powered by the Wolfram|Alpha computational knowledge engine and is created by Wolfram Research, makers of Mathematica—the world's leading software system for mathematical research and education. 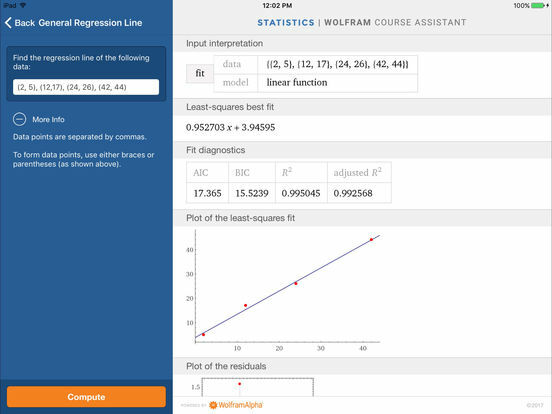 The Wolfram Statistics Course Assistant draws on the computational power of Wolfram|Alpha's supercomputers over a 3G, 4G, or Wi-Fi connection.